Step 2: After that put your 11 digit Consumer Number. Step 3: After that select month as per your last bill or E-Receipt or SMS. Step 4: After that put the captcha code which will be given in the generated picture. 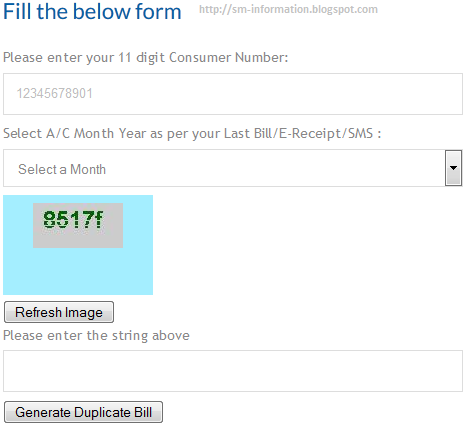 Step 5: Then click on "Generate Duplicate Bill"
Note:This written content is copyrighted to http://sm-information.blogspot.com and may not be reproduced on other websites. 0 Comments For " How To View Your / Print / Duplicate Your CESC e-Bill "